Started the day with a walk around Ushuaia scoping out this small town that I’ll be back at in around 11 days to depart to Antarctica. The mountains and terrain are stunning. We had an organised transfer to the airport for a flight to El Calafate Airport. The plane was supposed to leave at 12.15 pm but left probably after 1 pm. This seems to be the rule here, our transfer did eat us there until about 30 minutes before, I’m guessing because they know the planes now leave on time :). The flight gave me a good chance to talk to my fellow passengers in particular Ben. It turned out later that we will be room buddies for this trip. From the airport we had a 3 hour transfer to El Chaltén which offered glorious views including of Lake Argentina and some floating icebergs. We even stopped at a way station that Dutch Cassidy and the Sundance Kid visited. This transfer was actually a great experience in its own right with our guide and driver both very entertaining and informative. 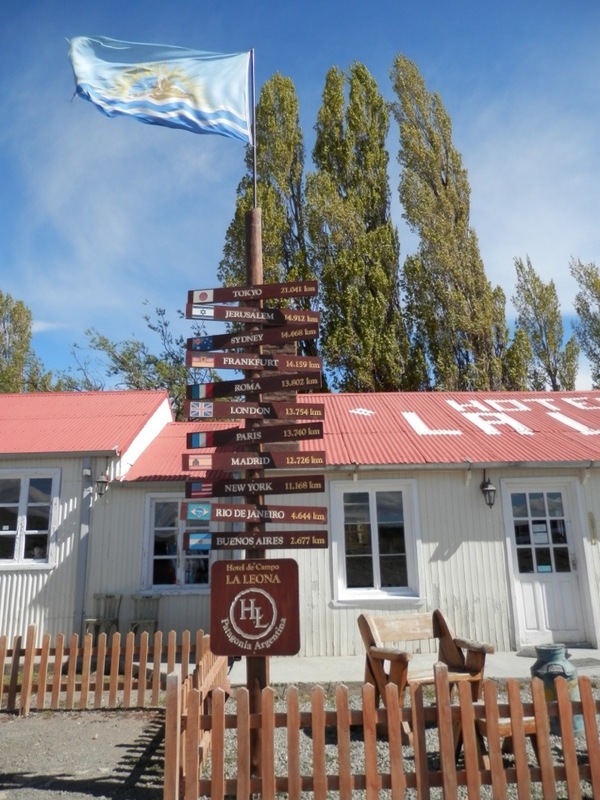 The town of El Chaltén is very small but growing as tourist understand to great natural beauty of the area. Until recently the town was abandoned for the winter but now a few people stay. It is very remote and geared for hikers. At our hotel we meet first our tour leader/guide Alvaro Jaime and four other travellers, David and Karen (USA), Nina (Norway) and Christopher (England). They will be with us until we return to Ushuaia. We had an enjoyable first night’s dinner as a group. Being remote food was not that cheap costing basically the same as in Australia. Tomorrow we have a big hiking day in the National Park.